There is nothing like a hot shower to help you jump start your morning, or unwind after a particularly hard day. Unfortunately this is normally just not possible when an event is located far away from standard services. Ellipse Global has the equipment, knowledge, and experience necessary to provide all of the essential equipment for basic daily needs. 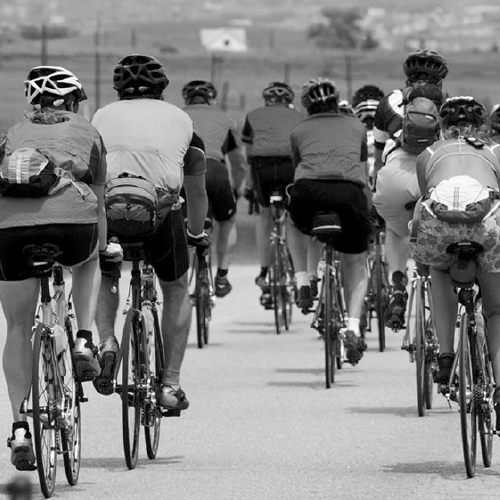 Whether it’s an event in a remote location, or right outside your door, we are ready to serve you. 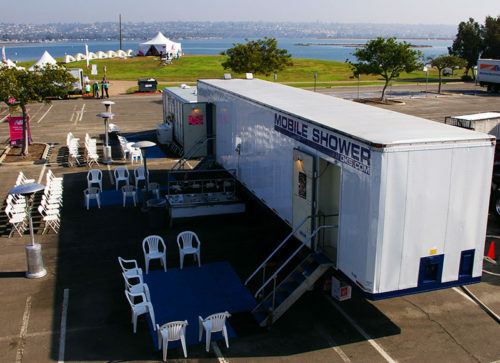 Ellipse Global’s mobile shower trailer units are completely self-contained and can be set up anywhere. Just one shower trailer from Ellipse can provide services for 500 people. We can bring you a hot shower, in a clean and sanitary environment, with the privacy you need and expect. 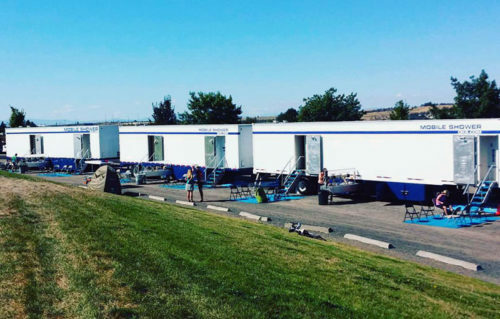 We have 26 portable shower trailers ready for emergency response or your special event. 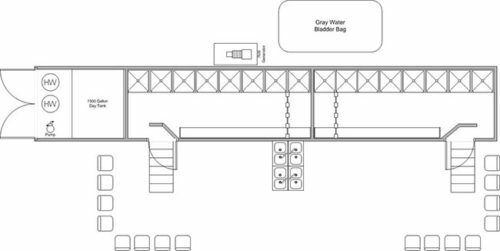 You can even lease a shower for use during a remodel, restoration, or just when you need additional capacity. Let us be your complete solution! 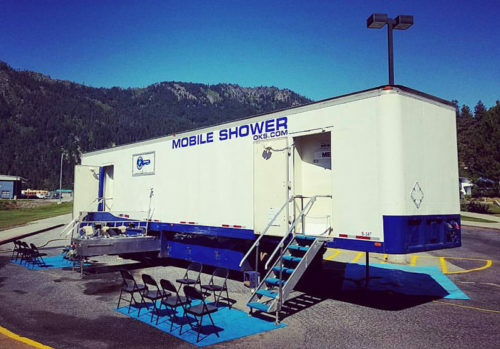 One of our large mobile showers is a fully function mobile unit housed within a 48′ trailer. They are equipped with either 15 or 16 shower heads along with pull-out sinks which house 8 basins. 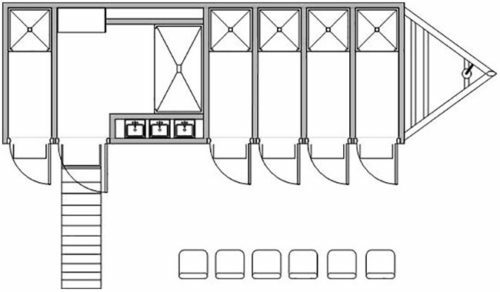 A partition wall divides the units into two sections featuring either 7/8 or 8/8 shower heads and can be interchanged for male and/or female use. Fluorescent and natural lighting is provided inside and out. Exhaust hood fans are used to aerate the shower units. An Ellipse Global ADA shower unit is available in a 5 or 6 head configuration. 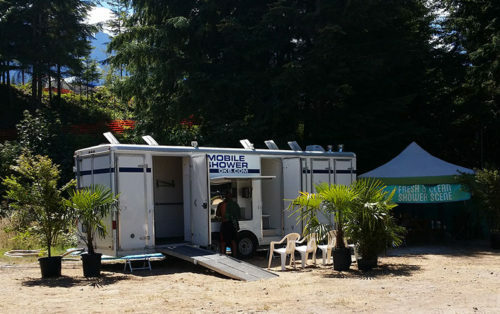 Housed in a 28′ trailer, the mobile shower has been designed with 4 or 5 individual shower stalls and an additional ADA compliant stall. The units also come equipped with sink basins which feature mixing faucets along with hand soap and paper towel dispensers. They are full capable of supporting over 36 people per hour of operation.